﻿Every time I ask Gianna what she wants to eat, she either says, "Steak," or "Springrolls." Literally. She says that she doesn't like Robert Irvine of Dinner: Impossible, but really I think that in a way, she is just as demanding as he is. 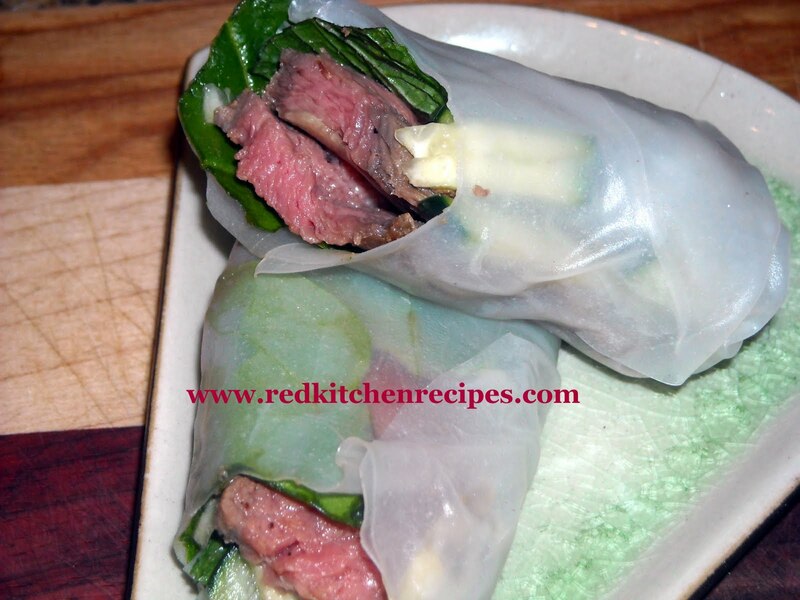 I can't turn out the same, common steak or springroll each time she requests them. Of course I need to outdo myself and create something pretty and tasty for the blog that she made me create! So I created a little fusion cuisine in the Red Kitchen, combining American and Vietnamese flavors for my little Vietnamese American daughter. 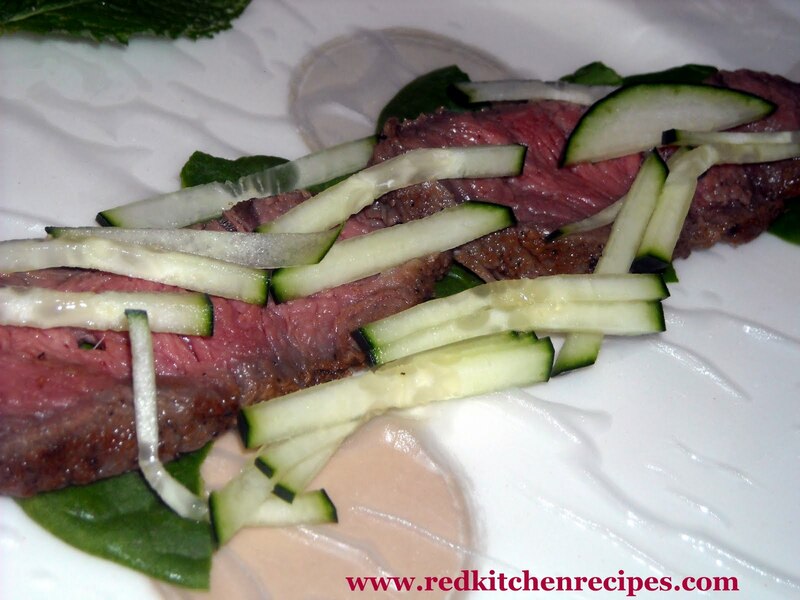 If you have kept up with this blog much, you know that I love flat iron steak. 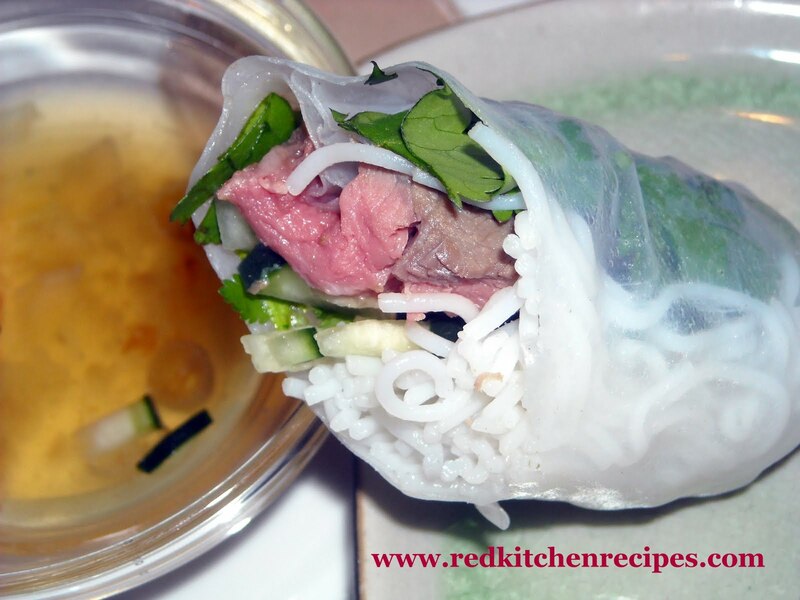 Check out the original Vietnamese Springroll recipe. Or the video of my daughters making them. 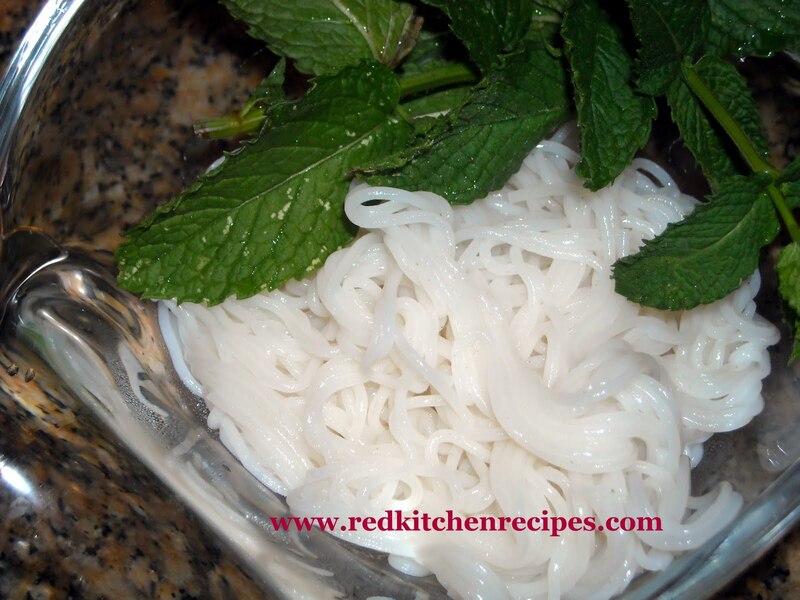 ﻿You need cooked rice vermicelli. 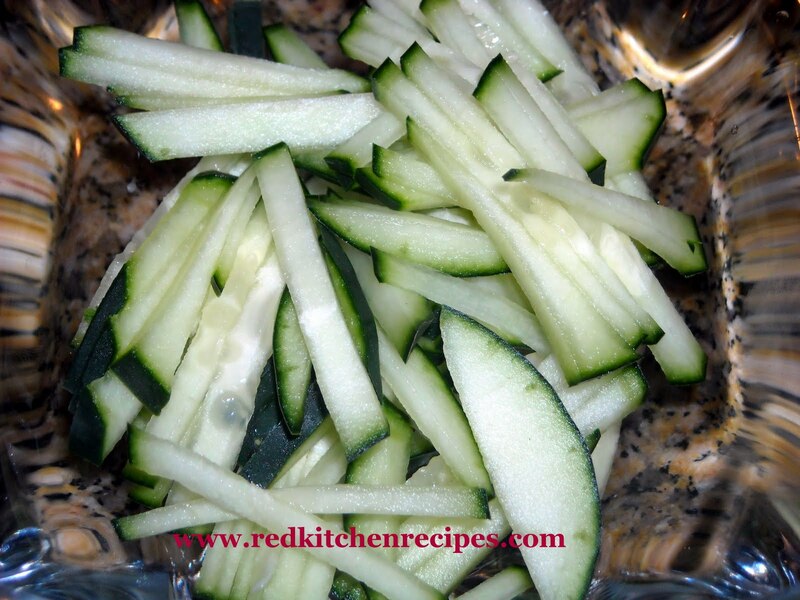 Matchstick cucumbers add a nice crunch. 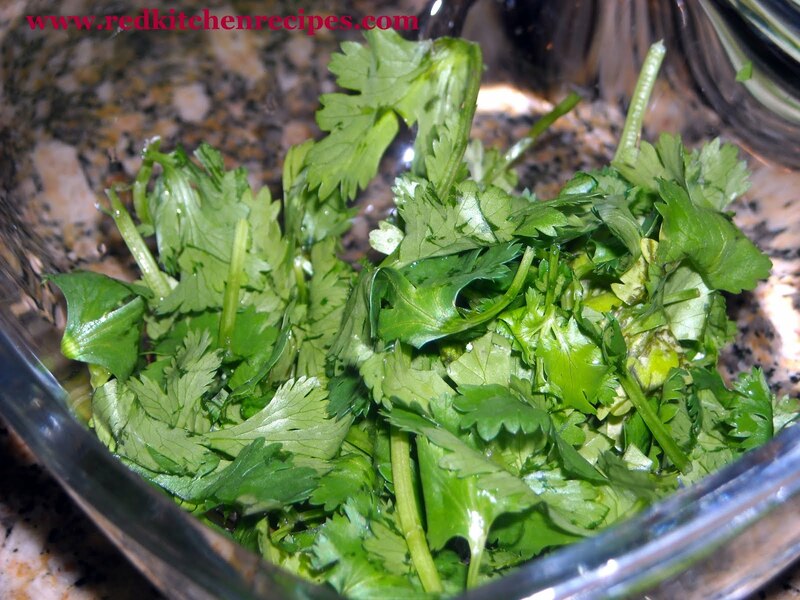 My favorite herbs are cilantro and mint. After the rice paper is moistened, add ingredients. Fold in the right and left sides, then roll tightly. Gianna dips hers in soy sauce, but there are so many dipping sauces available, including ponzu, garlic lime fish sauce, hoisin peanut sauce, and sweet chili sauce. If you don't feel like making your own springrolls, and they look good to you, try Pho Thanh My on Shackelford in Little Rock.